The Sims 4 Expansion Packs provides new worlds, gameplay features, new objects and new clothing based around one large central theme. This may include new worlds, venues, large gameplay features and mostly a lot of new objects and clothing for your Sims! Get ready to Party! In The Sims 4 Get Together expansion pack it’s all about the new clubs, dancing, and exploring the new world Windenburg. Dress up your Sims & your friends who are joining you to the party or club. Master your Sims dancing skills or learn how to set up the perfect DJ booth to master the new DJ skill. 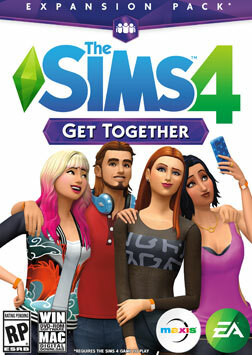 Get together and meet Sims who share the same interests and style and form a club. 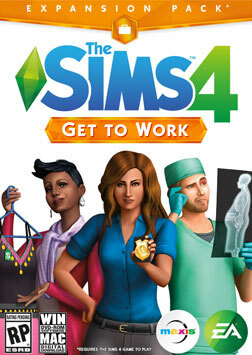 The Sims 4 Get To Work is the first Expansion Pack that is released within The Sims 4 series. You’ll be able to follow your Sims to their jobs and control every action. Create inventions in the scientist career, save lives at the Hospital as a doctor and lock up criminals as a detective. Create and run your own store in Magnolia Promenade or meet Aliens on planet Sixam!